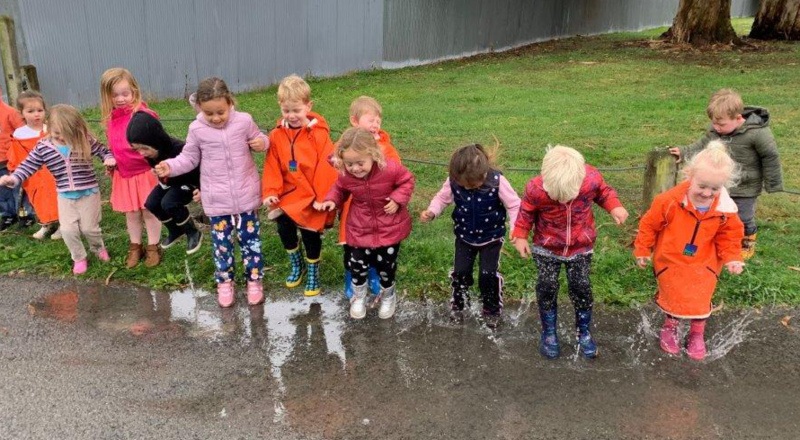 One of our newest kindergartens, Kidsfirst West Rolleston, continue to grow all sorts of goodies in their big backyard. Bathed in sunshine and landscaped with bark their purpose built planter boxes have been put to great use and are at just the right height for tamariki to help plant, tend and harvest. 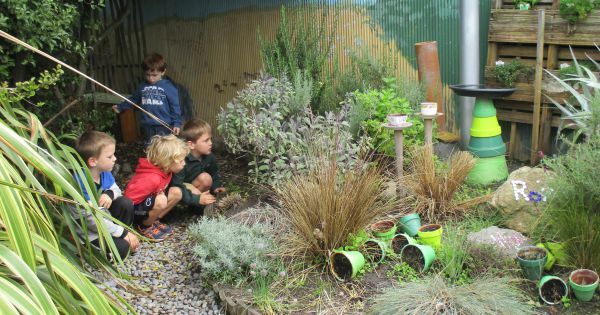 “It’s fantastic that our children have opportunities to try new things in our outdoor environment and to get involved with the gardening,” says head teacher, Victoria Rodger. They’ve harvested ripe, red tomatoes and juicy corn. There’s a plump cabbage almost ready to be picked and a butternut pumpkin grows rounder everyday. 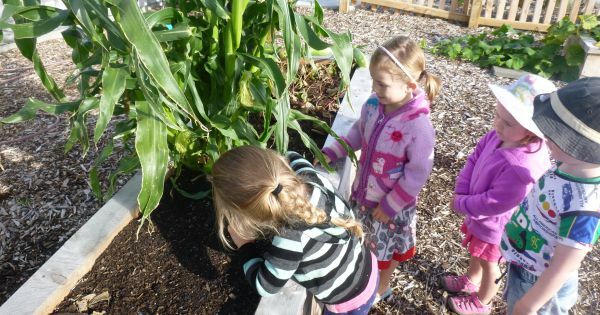 Harvesting fresh corn at Kidsfirst West Rolleston. With tomatoes, spinach and silver beet aplenty families were invited to help themselves to the kindergarten’s excess harvest. 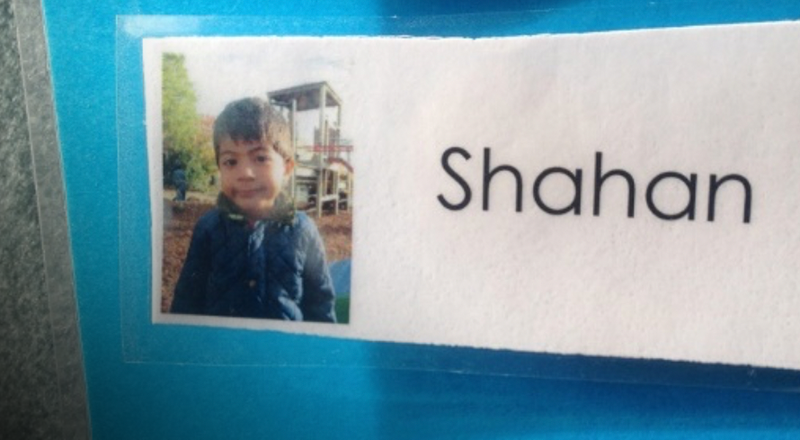 The kindergarten has a beautiful tree by the sandpit that turns bright red over the autumn and established fruit trees provide crispy apples and crunchy pears come autumn. 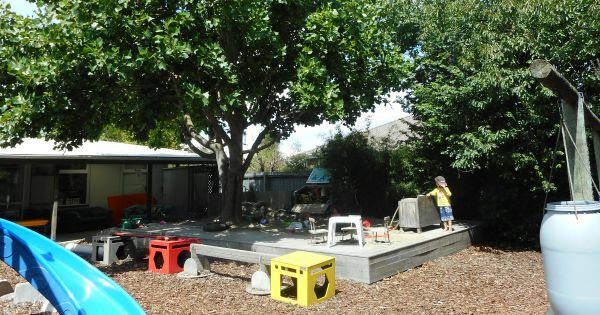 At Kidsfirst Terrace in Central Otago, well-established trees provide a natural canopy of shade for children in their big backyard. Laden with sturdy branches they are great for climbing on too! 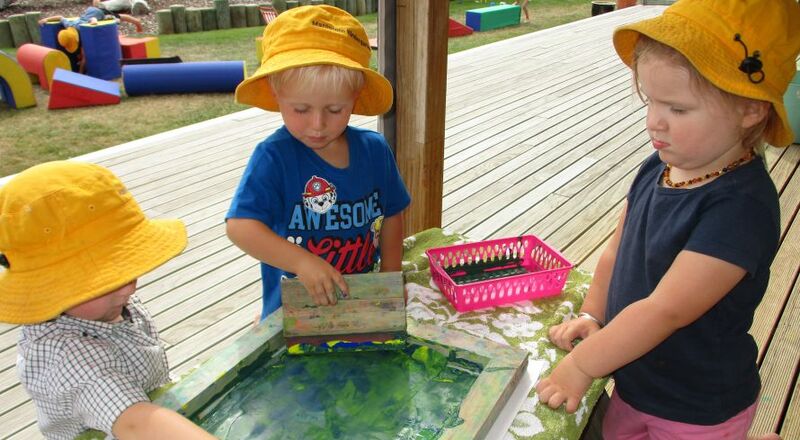 Tamariki at Kidsfirst Cotswold are welcomed into a highly inclusive, natural, spacious and peaceful outdoor learning environment at their kindergarten, that effectively provokes their curiosity and encourages exploration. Children respectfully interact with their natural world by caring for pets, flowers and vegetables and learning about sustainable practices. 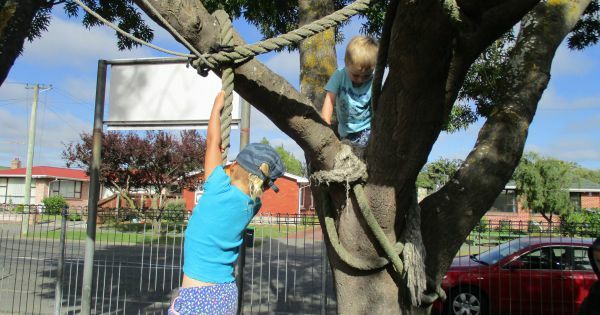 Children are drawn to a climbing tree and secret path by the herb garden at Kidsfirst Cotswold. A popular spot is the trickling waterfall and sandpit area where a gorgeous tree provides sun protection all summer long. 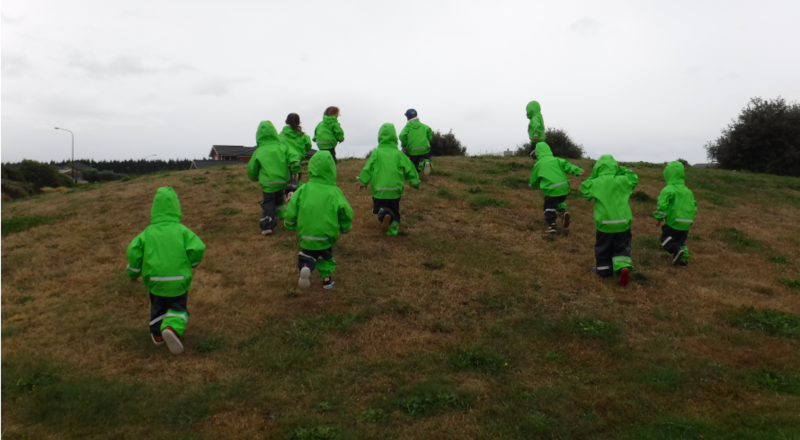 There’s plenty of room for tamariki to challenge themselves, to hone their developing gross motor skills or to set goals to extend their physical learning. 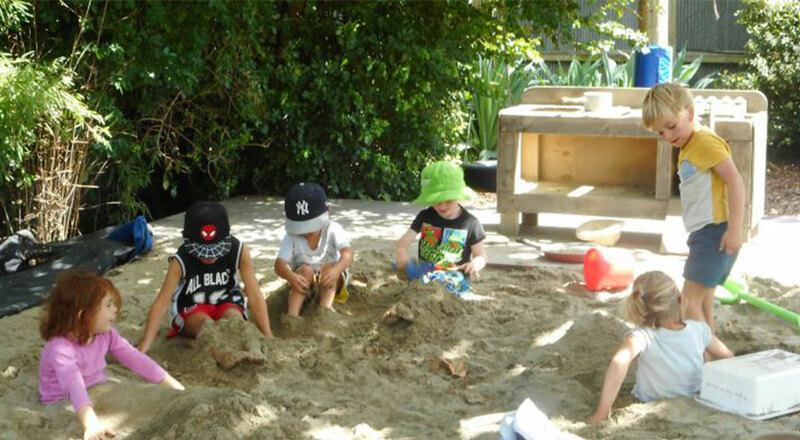 Exploration and adventure abound in the huge sandpit at Kidsfirst Vickery Street. 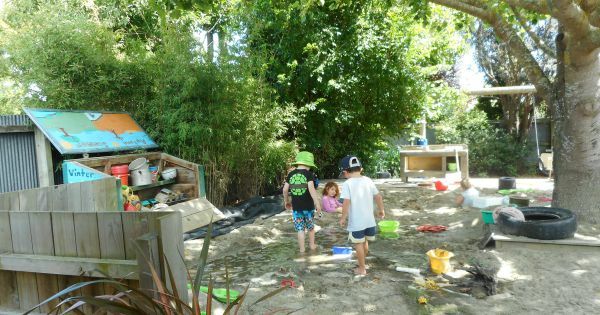 There's room to move, investigate, explore and develop in our big backyards. Together, we can achieve great things in a Kidsfirst big backyard too! 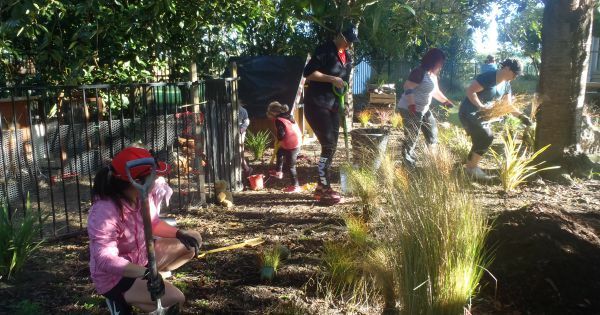 In a fantastic show of community spirit Kidsfirst Hawthornden held a working bee to spruce up parts of their outdoor environment. This was thanks to Bunnings who supplied the building equipment and a kindergarten Dad and builder who took the lead to direct our whānau (and kaiako!) helpers. 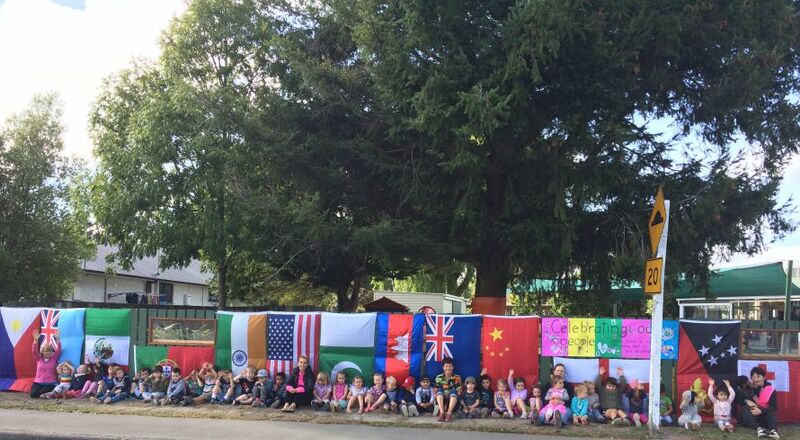 Kidsfirst Hawthornden spruce up their big backyard. 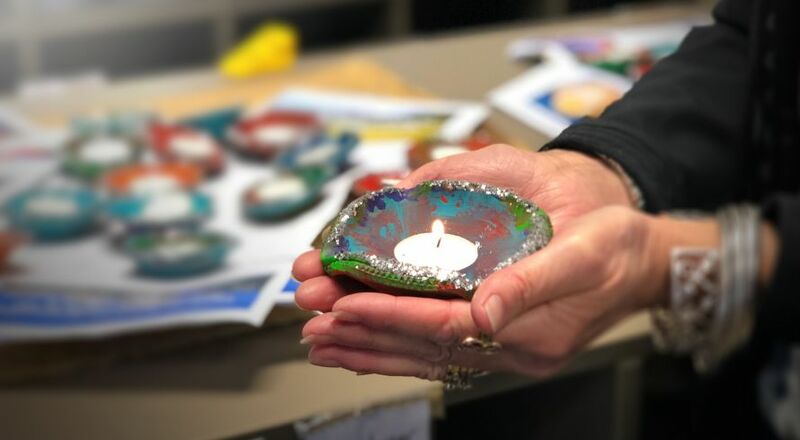 “We managed to fix up our existing whare to make it water tight again, build some paving under an outdoor 'exploring' cabinet, a solid gravel area for our mud kitchen and another gravel pad as a bike park,” says head teacher, Catherine Gerslov-Wright. There were even enough helpers on the day to give the gardens a good weed and trim. “This has been a brilliant facelift for our big backyard with amazing donations of time, tools, food, skills and energy,” says Catherine.